We've known for a while now that Google has high hopes for its incoming Pixel 3 range of smartphones, and has seemingly engineered them with just one main focus, gun down Apple's new iPhone range. First a radical new updated design leaked that showed that Google had gone back to the drawing board with its well-reviewed but disappointingly sold Google Pixel 2 and Pixel 2 XL phones, and returned with a device that - especially in its larger incarnation - looked a lot like the iPhone X. 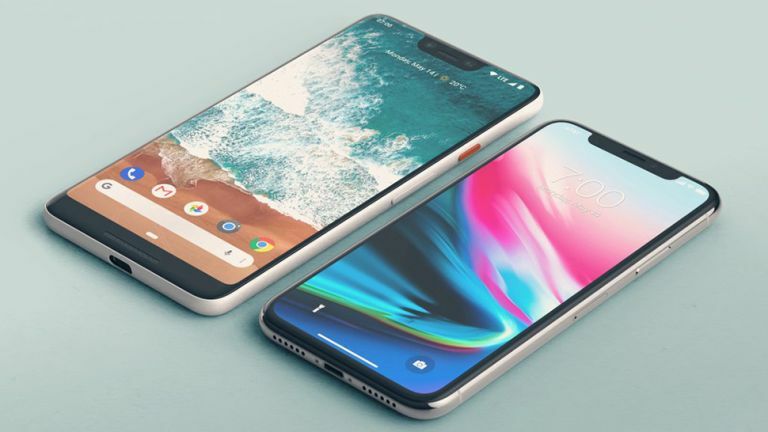 Indeed, when a series of real-life leaked Pixel 3 photos leaked online and were turned into a super-accurate renders of the new handsets, the similarity to Apple's iPhone was marked. Well, now it would seem that the Google is even keener to position the Google Pixel 3 range as a direct alternative to the new iPhones, as its launch date has just leaked and, yes you guessed it, it is smack bang in the middle of Apple's new iPhone launch window. "The Pixel 3 phone is launching October 4th, 2018." Well, that seems pretty darn conclusive. Now, technically there is no way to know if this listing was posted by Google or one of its agencies, or whether this is a mistake, so a small dose of salt should be taken regarding this launch date. That said, though, Google does have a habit of launching its Pixel phones on October 4th (the Google Pixel 2 range was also announced on October 4, 2017, for example), so this leak does carry some weight in our opinion. And, if the Pixel 3 range is launched on October 4, then going by last year's release schedule, that would mean its on sale date is going to be on or around October 19, 2018. Leaked renders based on real-life photos of the Google Pixel 3 and Pixel 3 XL phones. What's more, if Apple has a staggered release schedule like last year's iPhone 8 and iPhone 8 Plus combo in late September followed by its flagship iPhone X in early November, the Google Pixel 3 and Pixel 3 XL would sit directly between the two. This could, potentially, play massively to Google's benefit, as if the range is as well specced as it is rumoured to be, it could tempt people to hold off on upgrading on the first wave of iPhones due to the close launch date proximity, and then absolutely smoke the more powerful flagship new iPhone in terms of hardware spec (which flagship Android phones tend to do). After all, it already looks like the new iPhone range could be handicapped in terms of download speeds, so a Pixel 3 XL that looks just like an iPhone X, notch and all, but is loaded with state-of-the-art, best-in-class hardware with no weak points, could force iPhone users to turn traitor and switch mobile platform, as well as turn a lot of rival Android users, too. We can't wait to get our hands on the Pixel 3 range and will be following its story right up to its launch, so be sure to check back in to T3.com soon to see if this launch date is accurate, and for our full impressions.